I am happy – nay, ecstatic – to announce that el Sistema worldwide has been rendered entirely redundant, obsolete and unnecessary thanks to Mr. Gene Marks, who in a two page blog on Forbes.com provided a simple and elegant solution to poverty, social problems and inequality of opportunity. The best part is that his point can be summarized in just four words: be smarter, work harder. I don’t think any more scorn and derision is necessary to expose the column for the racist imbecility that it is. The good news is that the blogosphere erupted with condemnations and denunciations, so it seems Mr. Marks is in a philosophical minority. "The Treadmill and the Poor Law, they're still in full vigor, I presume? " I’m uncharacteristically angered by this piece, probably because this simplistic position, which has been utterly disproven, already has enough (false) currency and needs no encouragement. Marks might have been inspired by front-running Republican leadership candidate Newt Gingrich, who earlier this month suggested that children should be paid to do janitorial and clerical work in their schools, because they have “nobody around them who works.” ‘Tis the season, surely. For my international readership, this passes for political discourse and social philosophy over here. Having said something incredibly stupid, Mr. Gingrich then could not fail to say something smarter, by referencing the now-discontinued Earning While Learning program, in which children were paid to read. It’s a controversial idea in America, more so because it works: in April of last year the highly distinguished Harvard economist Roland Fryer, who specializes in issues of race and poverty, released a study on… “motivating” children to learn through cash rewards. Of the four methods tried, including straight cash for good grades, the one method that unquestionably returned educational dividends was paying children to read books. According to the full TIME magazine article, Fryer received death threats for the study. Such an abhorrent idea, using bribery to motivate when children should find out that learning is its own reward…in a broken school system where both quality of instruction and availability of resources differ wildly, and in a social and economic context where the deck is stacked against those who manage to graduate. There are actually two obvious Sistema connections here. The first is that this reinforces how engaging with literature, however motivated, is clearly very beneficial for educational and social purposes. Fryer proved this in one discipline, Venezuela in another. I make no secret of the fact that I consider education the imparting of multiple literacies – including conventional alphabetic, numeracy, and as importantly, musical literacy, with my personal definition of the term encompassing the ability to both comprehend and manipulate the relevant symbol systems. My position on literacy in music education is controversial, I’ll admit, but I stand by it, and I believe that studies such as Fryer’s bear me out. The second connection may surprise some, but a large number of children in Sistema in Venezuela are paid for their participation. There is a scholarship system in place in which children can qualify for a modest stipend, to encourage them to stay in the program. Since there is no tuition cost at all to students in Fundabol programs, this should not be confused with the Catch-22 of need-based aid. The payment reflects the reality in developing countries that children are viewed as financial assets to their families, contributing to the household economy from a very early age, rather than the liability they are considered in the developed world. Without the payments, familial financial pressures might otherwise force children out of music programs and into part time jobs… like cleaning schools…when they could be learning and growing in the one time of their life they should be able to do both of those unfettered by material constraint. 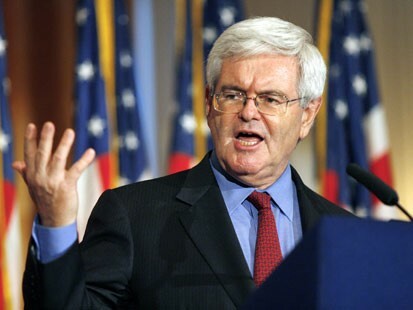 Mr. Gingrich, we agree. We should pay children to read great literature. It has manifest educational and social benefits. It’s not a foreign idea to be immediately despised; it was hatched in America. It’s not socialist or morally objectionable; it’s just early exposure to capitalism in that it concretely rewards effort. Just please don’t limit the definition of literature to the written word. What kinds of behaviors do kids have control over while learning to playing music? What motivates them to perform those behaviors? What kinds of immediate rewards do music teachers have at their disposal to replicate Fryer’s research design?